Prognosfruit, which brings apple and pear leaders together to discuss the first production forecast of the season and the pressing issues affecting the industry, will this year take place in the historic Alden Biesen Castle in the Belgian province of Limburg. The event, which takes place on 7-9 August, is the 44th edition and will see up to 250 apple and pear growers from across Europe attend. backed by the Association of Belgian Horticultural Cooperatives (VBT). “We are very happy to host the Prognosfruit conference in Belgium," said Rita Demaré, president of VBT. "We consider it as a special honour to welcome the top of the European fruit sector in the amazing, historic setting of the Alden Biesen Castle. "We hope that producers, technicians, managers and employees will enjoy the conference, technical visits and networking opportunities," Demaré added. "We are looking forward to welcoming apple and pear leaders from Europe and the rest of the world." 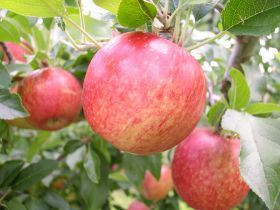 During the conference on Thursday 8 August, the World Apple and Pear Association (WAPA) will release the apple and pear production forecast for 2019/2020. This will be complemented by an in-depth discussion by industry representatives about the current issues affecting the apple and pear market. After last year’s record-high crop, the release of the 2019 forecast is a much-anticipated event. Besides the publication of the forecast and market trends for the fresh and processed sector, the focus of this year’s conference lies on research and innovation in production methods and the evolution in consumer preferences and retail demands.